Nevado Alpamayo is a mountain in the Andean Cordillera, located in the Peruvian territory with an altitude of 5947 m / 19,511 ft above sea level. It is one of the peaks that attracts most attention in the Cordillera Blanca in the Peruvian Andes. It was considered by the newspaper Alpinismo (May 1966) as the “most beautiful mountain in the world”. 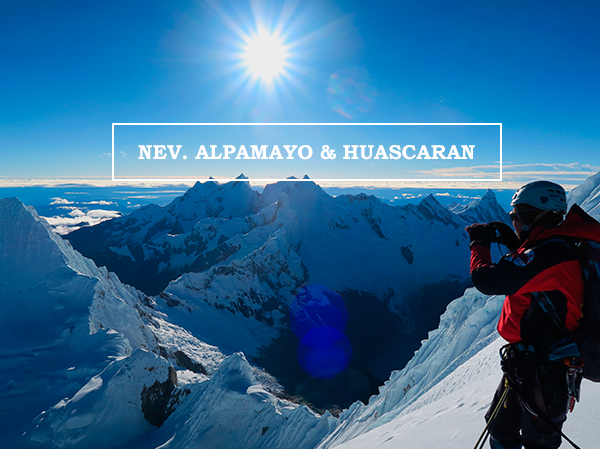 Nevado Huascaran is located in the Yungay province, Ancash department at about 70 km from Huaraz, department capital. At 6768 m / 22,204 ft, it is the highest tropical Mountain in Peru, and is surrounded by peaks reaching over 5000 m of height in the Cordillera Blanca sector. 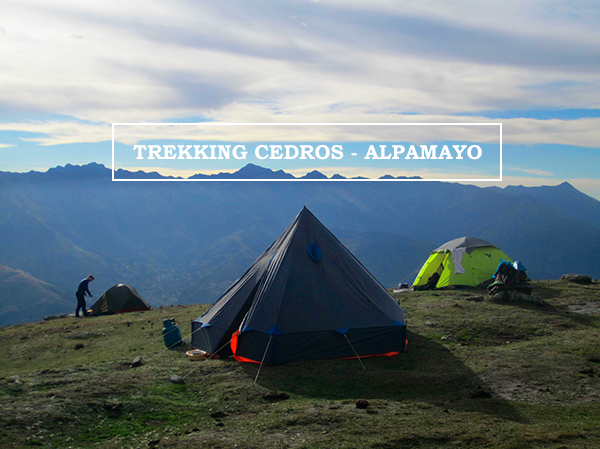 We recommend you to do at least a 1-Day hike in altitude to be acclimatized before doing this tour. We can offer you different hikes. This is a very good hike to acclimatize. From Huaraz we go by car to the village of Pitec. On the way we pass several picturesque villages, such as Unchus and Llupa. At 3850 m /12,631 ft we start our easy hike up to Lake Churup with its blue colors sitting at an altitude of 4440 m /14,566 ft ling over steep rocks. And then we come back to Huaraz by the same way. From Huaraz we will drive to a village called Cashapampa with our shuttle vehicle. The donkeys and Donkey Driver will be waiting for us there. From there, we will begin our trail through the Santa Cruz valley until reaching Llamacoral, where we will set up camp. Approx. approximately 4 - 5 hours walking. On day 2 we will start our trail in the same valley where the views of two beautiful lakes, Chinacocha and Orconcocha can be enjoyed. Then we will take a Zigzag trail to Base Camp. Approx. 5 hours. We will hike up to High Camp, first via a rocky trail until arriving at the glacier, then we will trek through ice and snow with some steep parts until we get to 5450m where we will set up camp. Walk back through Santa Cruz Valley to Cashapampa, where our vehicle will be waiting for us. Approx. 4 to 5 hours. From Huaraz we will drive to a village called Musho, where we will start our hike, first going through a forest of eucalyptus trees, until we get to base camp. We will also have donkeys and donkey drivers with us during this hike. Approx. 4 to 5 hours. This day we will begin our hike by crossing a large granite moraine until reaching a wide glacier, where we will get to 5260m and set up camp for the night. Approx. 5 to 6 hours. The hike to Camp 2 will start early in order to avoid the crossing seracs after the couloir. This is an easy trail of approx. 4 hours. The hike will start at 1 am, taking a zigzag trail in order to avoid the crevices. Afterwards, we will climb narrow passages of 50 to 60° inclination. After climbing all of them, we will reach a wide glacier where we will carry on zigzagging until we reach the top. 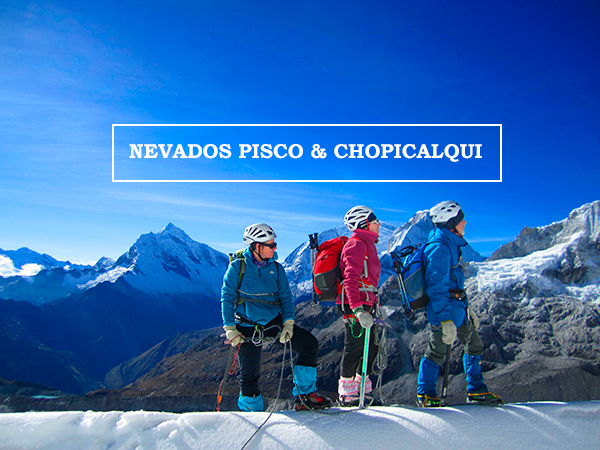 From the top, you will be able to appreciate the mountain range of the Cordillera Blanca. Then we will go down to Camp 2 to spend the night. Approx 6 to 7 hours. 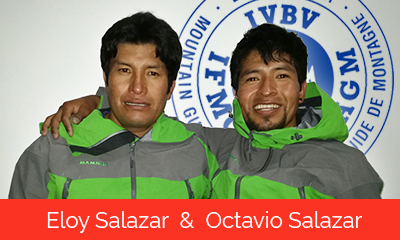 We will take the same route as before to reach Base Camp (4250 m / 13,943 ft). Approx. 4 to 5 hours. 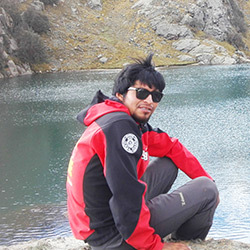 We will go down to the village of Musho where our vehicle back to Huaraz will be waiting. 3 hours walk + 2.5hrs transport. Private transport between Huaraz / start and end of trek.